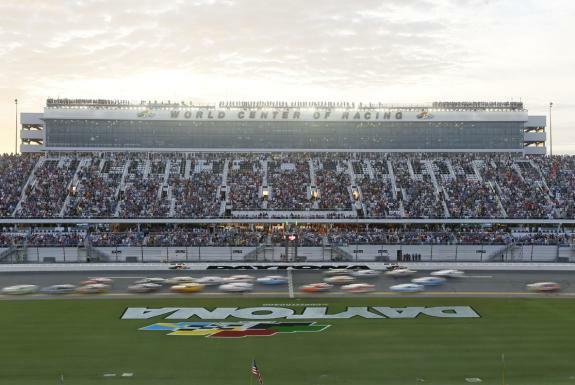 This year for the 61st running of the DAYTONA 500, fans from all 50 states and more than 40 different countries will come to the area to witness this legendary event and cheer on their favorites. And what better way to celebrate this iconic event than with a festival to tickle your taste buds? Ready to answer that question is the DAYTONA Beer Festival, a brand-new craft beer festival debuting at DAYTONA Speedweeks in 2019! This fun-filled event will take place from noon to 3 p.m. on Sunday, February 10, which is also the day of the Advance Auto Parts Clash race and DAYTONA 500 Qualifying. The tastings and fun times will span multiple Midway Suites and will give attendees the chance to choose from over 70 different brands of beer, including Wicked Weed, Kona, Golden Road, Blue Point, Goose Island, Landshark, Shock Top, Karbach, 10 Barrel, Redhook and many more. And it all takes place in a climate-controlled environment at the "World Center of Racing,” Daytona International Speedway. Plus, your DAYTONA Beer Festival ticket includes a “beer passport,” which is basically an all-access pass to the day’s exciting events. Sample up to 10 of the more than 70 brands of beer available, then get in gear for some racing action. Your ticket includes general admission to the Advance Auto Parts Clash, one of the most star-studded and unique races of the year. And, you can be in on the action happening during DAYTONA 500 Qualifying Presented By Kroger, which will set the front row for the 61st annual DAYTONA 500 on Sunday, February 17. And, as a way to remember this exciting occasion, you’ll also receive a collectible Daytona International Speedway mini beer mug and lanyard — the perfect souvenirs for an unforgettable event. Besides the fellowship and fast cars, the best part about a craft beer festival is the opportunity to expand your palate and try a number of new things, all at one great price. Tickets for the DAYTONA Beer Festival are $52 and are on sale now — purchase yours today! 10 samples from over 70 brands of beer, including: Wicked Weed, Kona, Golden Road, Blue Point, Goose Island, Landshark and more! And, you’ll want to stick around all week for the variety of events, concerts, shows, meet and greets, and races. But remember, the DAYTONA 500 has sold out for the past three years — so don’t wait to make your plans. Plan your trip today!